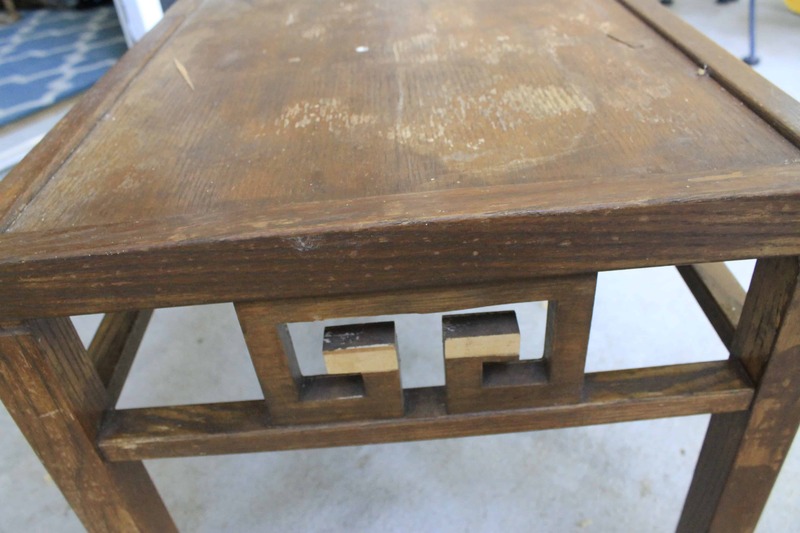 As you know, we started a collaboration with the local Palmetto Goodwill on James Island to take old, ugly furniture and bring it home to refurbish it and transform it into something that can be sold for more and help Goodwill gain more of a profit from the items they take in. 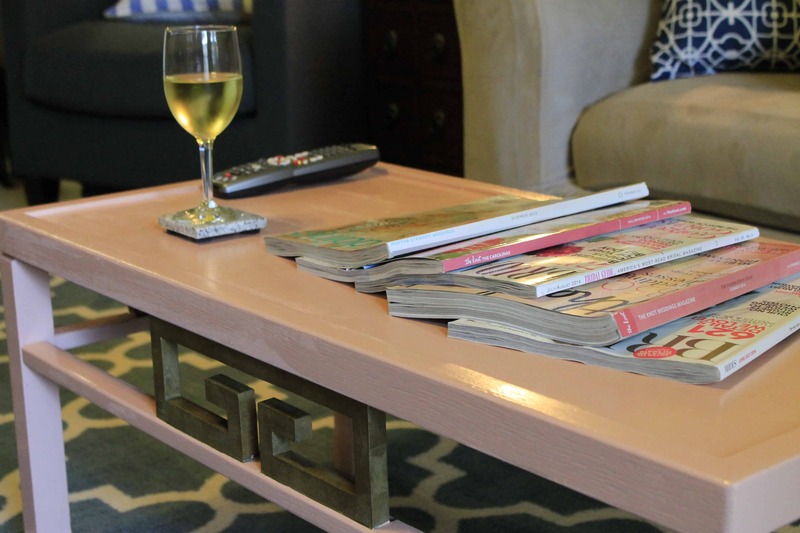 Our first installment was when we took an old sewing table that was no longer operational and turned it into an amazing hidden bar cart! It was great, so we were ready to take on something else. 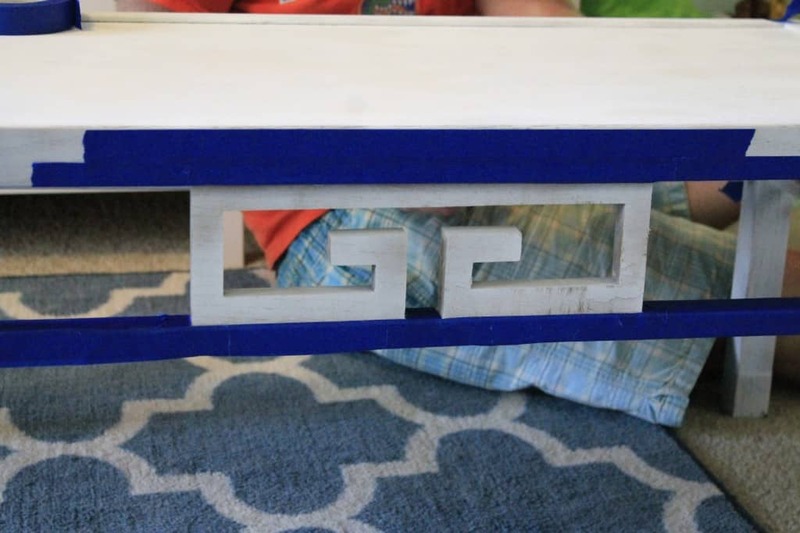 When shopping through the furniture at Goodwill, we found an old wooden coffee table that had peeling paneling and lots of water stains, but had cool Greek keys on the sides that, according to Morgan, are very in style right now. 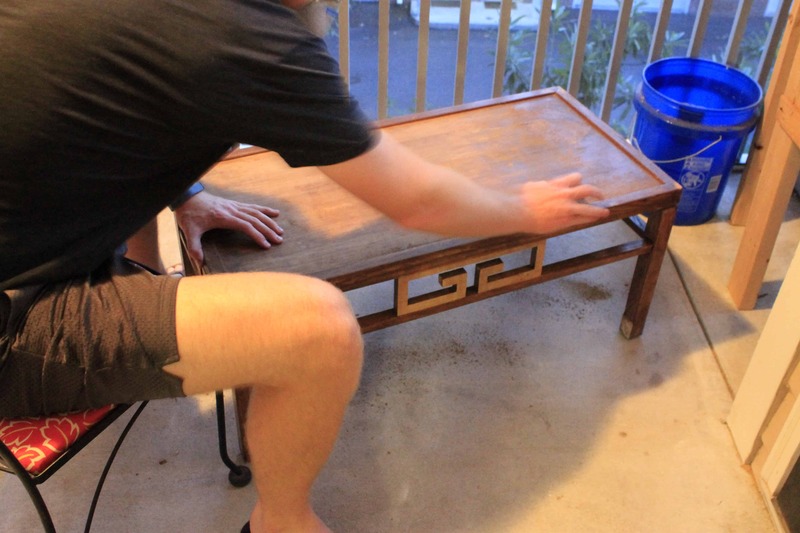 The table was looking rough, so we decided to take it home and give it a second life. 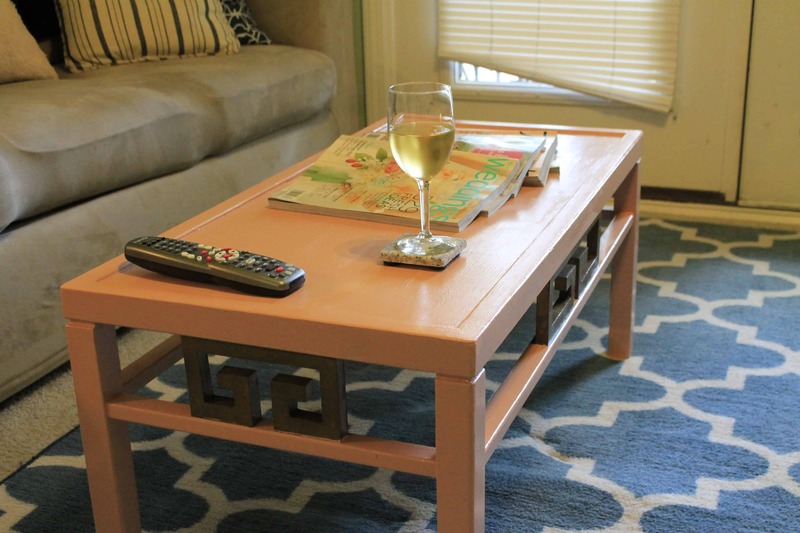 Since the table was pretty small, we thought it would be well-served to make it look like something a little girl could use as a table in her room, but still keep it nice and trendy. 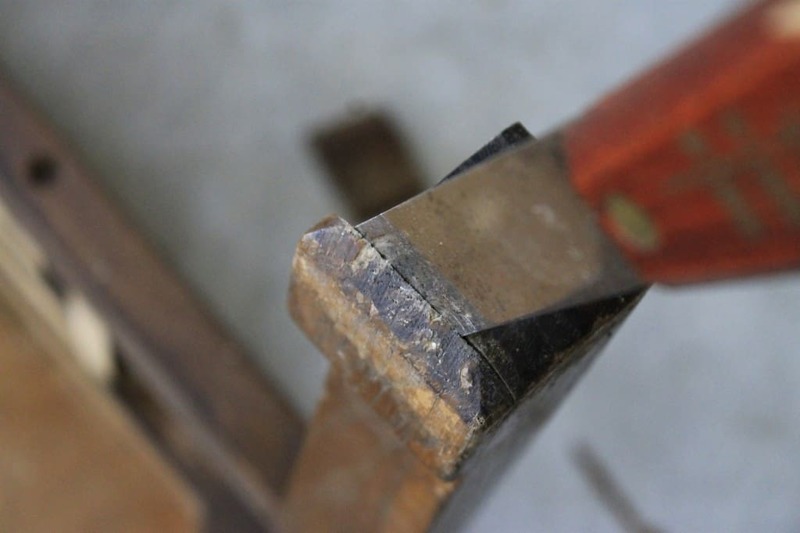 We started by peeling off the paneling that was on the Greek keys. 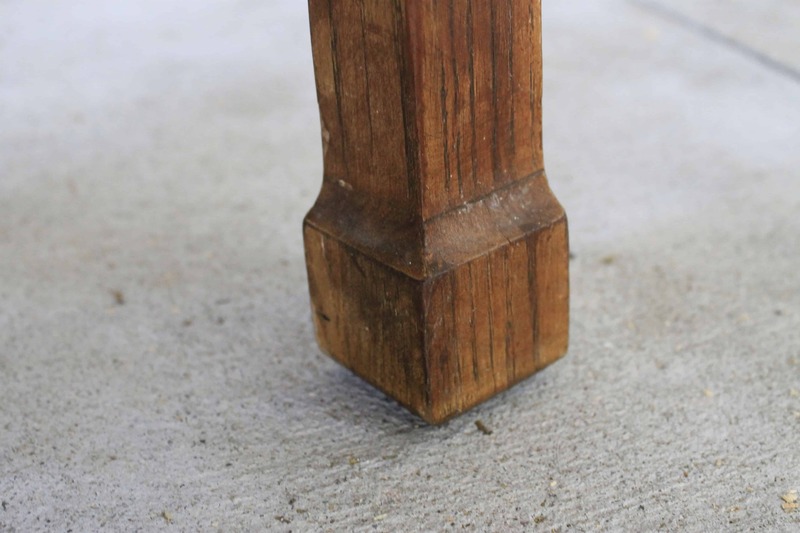 The legs of the table also had little pieces of wood at the bottom that made the foot flare out- well, three of the legs had them. 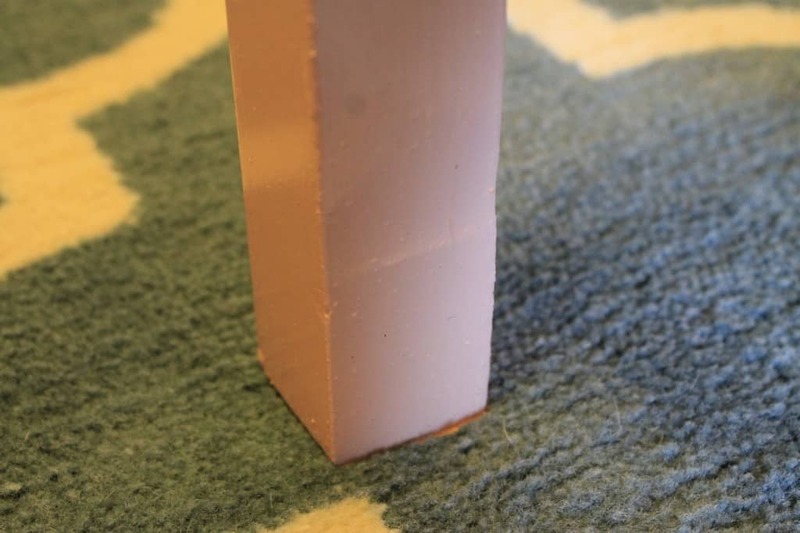 Since there was no way for us to replace them, we just popped off the pieces of wood on the other three legs so they would be straight and square. Finally, we sanded the whole thing down. 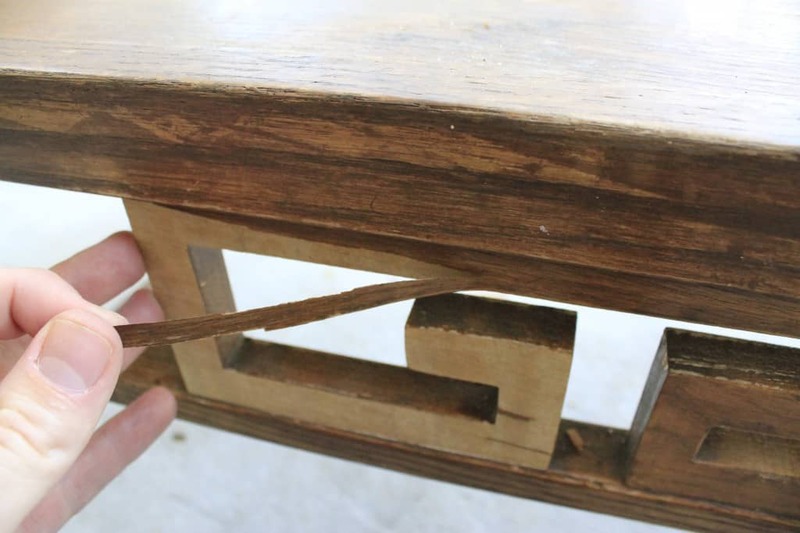 As we have said in the past, it’s often better when you have a piece of real wood to stain it rather than paint it. 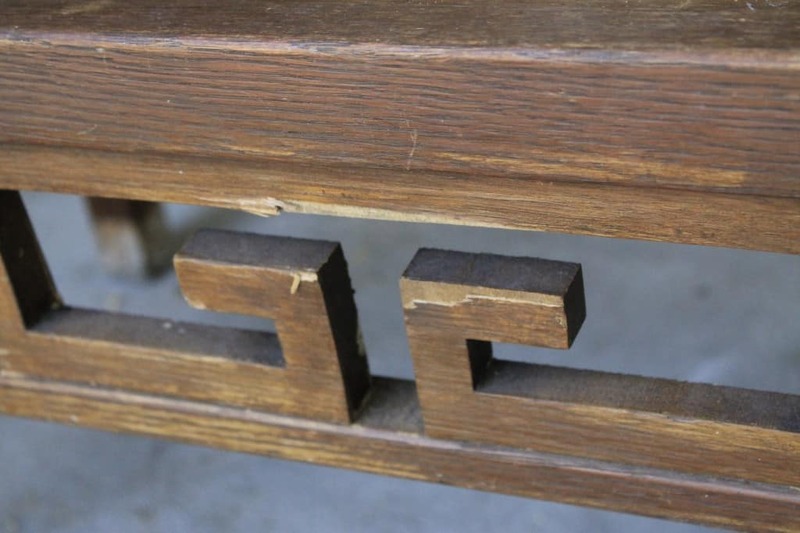 In this case though, the table was wood, but the Greek keys weren’t. 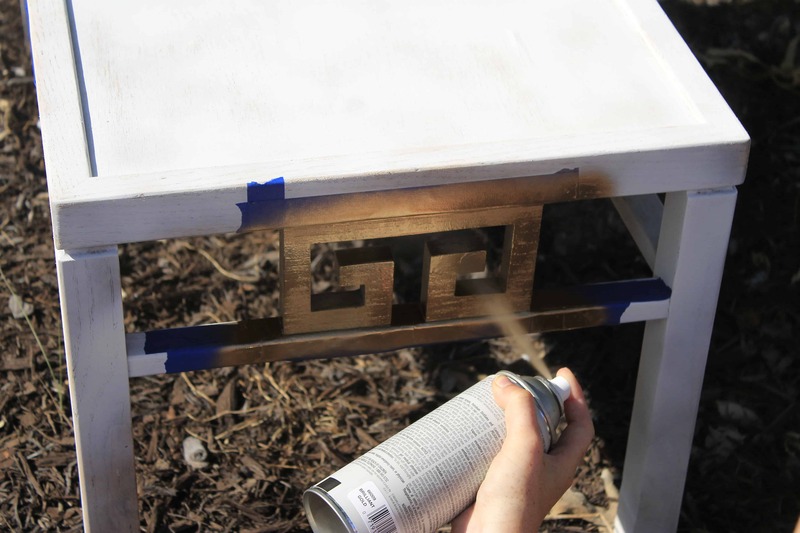 Plus, we wanted this to be aimed toward a young girl (who might be in on the greek key trend), so we decided to paint it with a stylish flare. 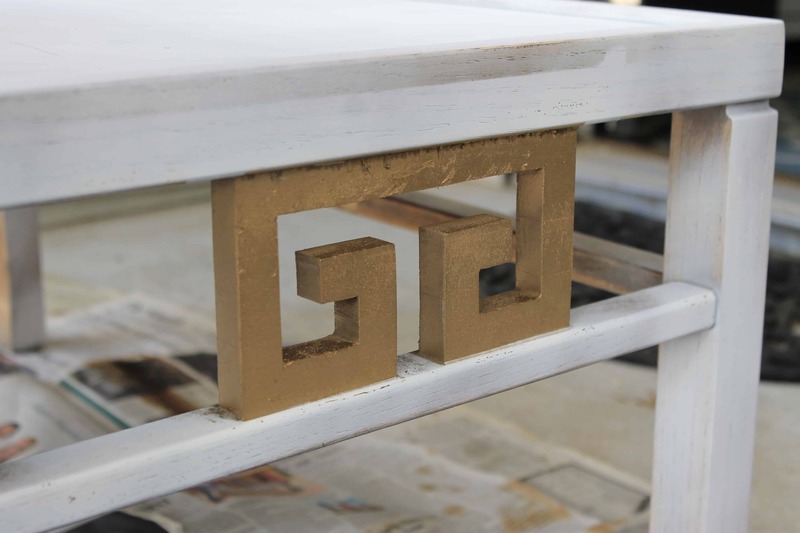 We started by taping off around the Greek keys and used Valspar Brilliant Metal gold spray paint to get the keys covered with a royal shine. 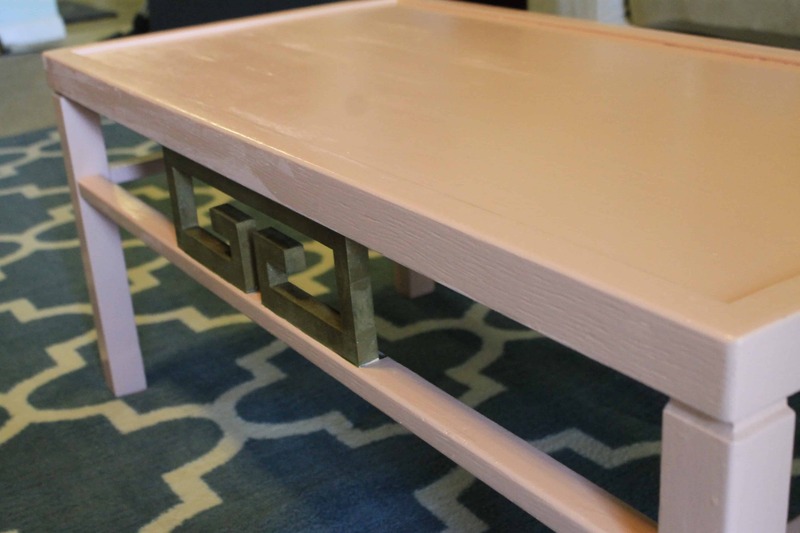 Then, we used foam brushes to paint the rest of the table in a light pink color of Valspar mistint paint that we had used when we planted a cactus garden. 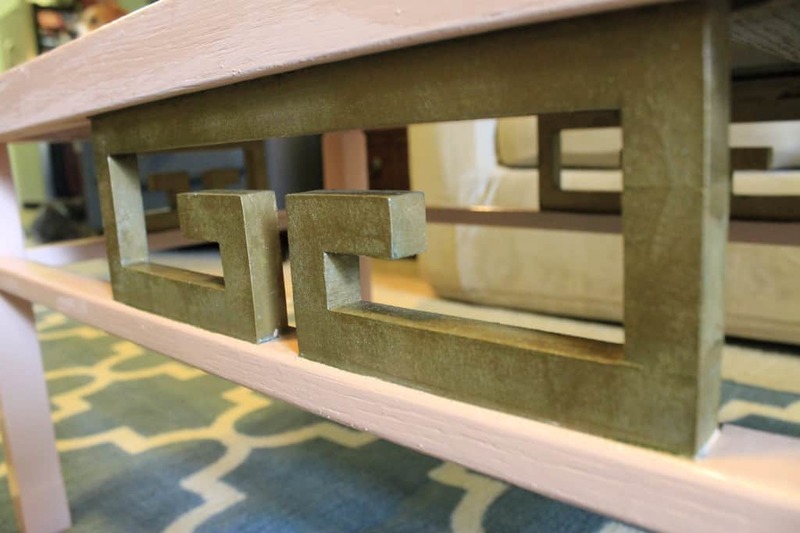 Blush and gold is a really on-trend color combination right now, so we really think that this piece will fly off the shelves at Palmetto Goodwill! 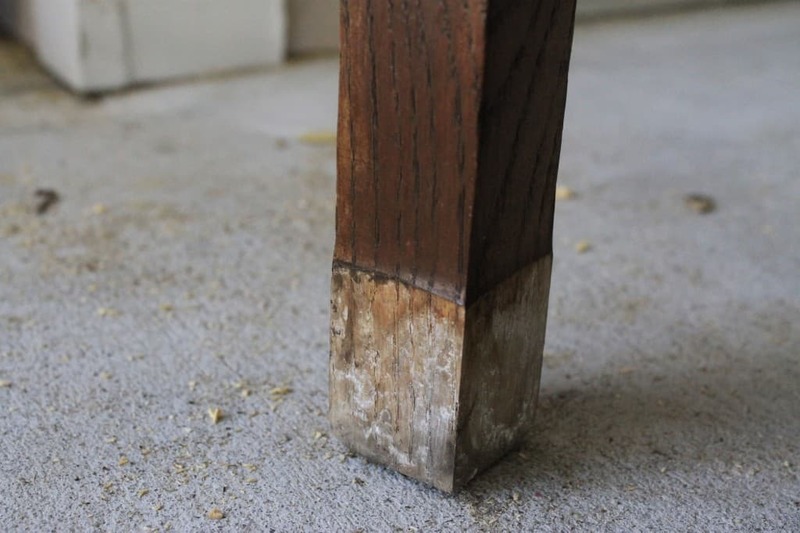 Finally, to give it a nice smooth feel and glossy look, we put a coat of sealant over the entire thing. 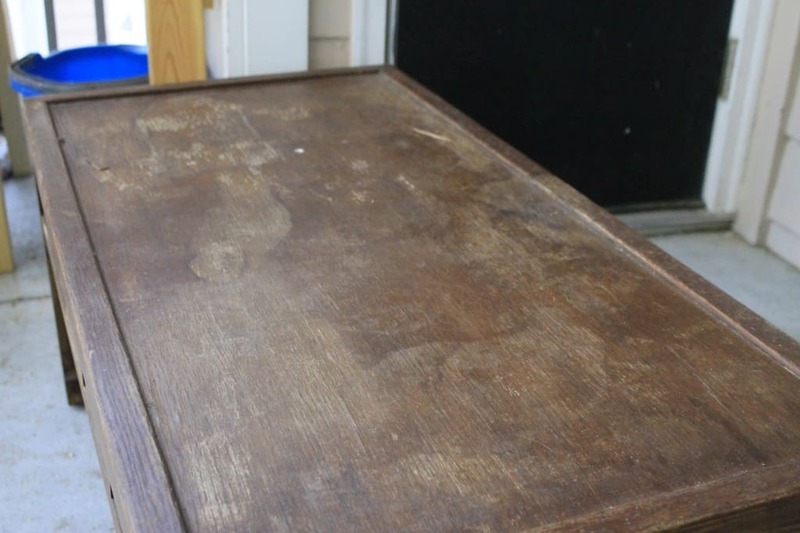 When that was dry, we had a really great looking new table! 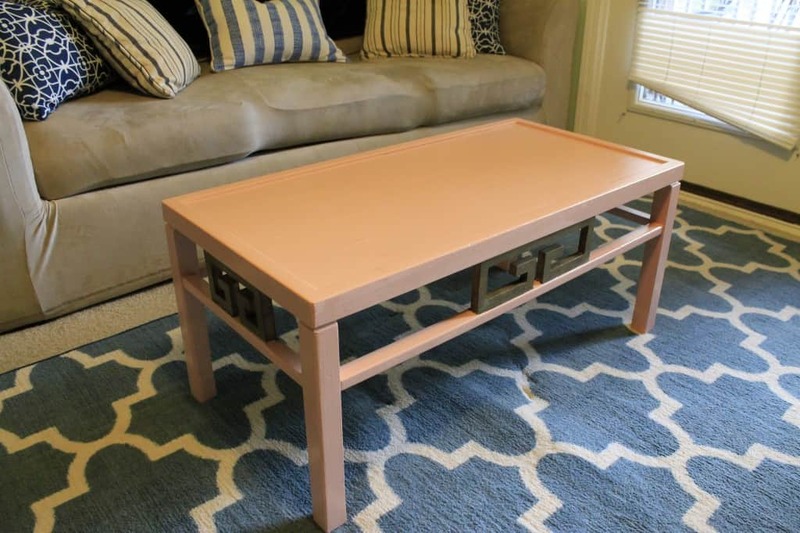 We think this table looks so much better than it did when it was on sale at Goodwill. We had to buy the spray paint for the Greek keys and a new can of sealant, but we’ll be able to use that for a long time. 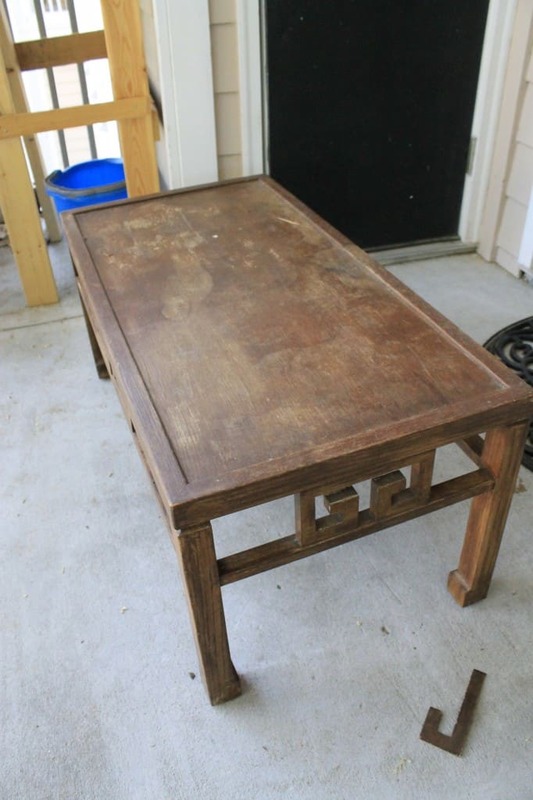 The table was originally listed at $13.99 when it was in bad shape, so we’re hoping they will be able to list it for at least $30 now! 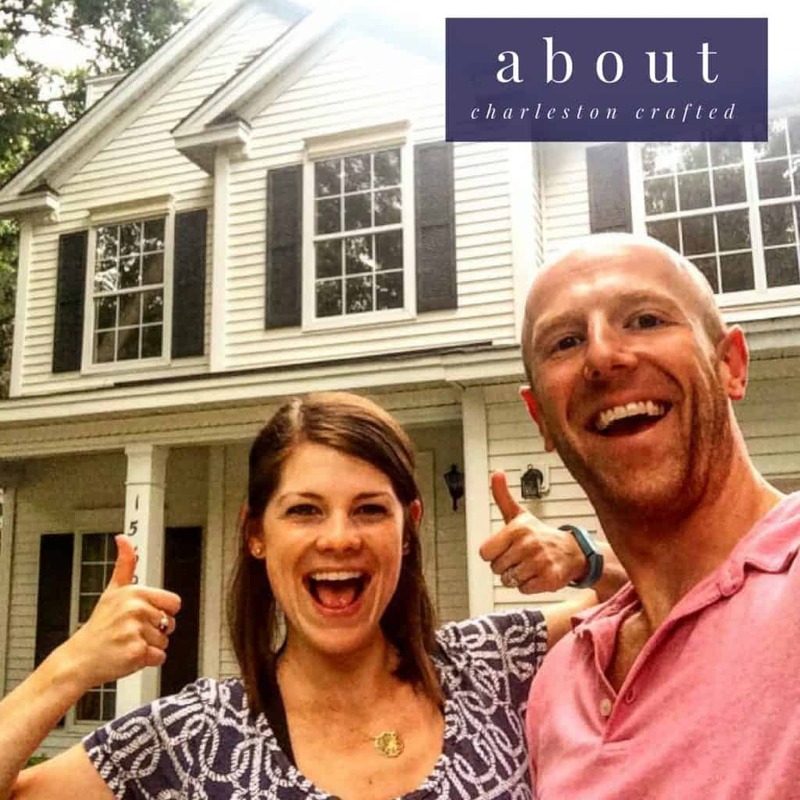 We’re really enjoying our collaboration with Palmetto Goodwill. Let us know if you’re the lucky one who ends up with this piece!